As you can imagine being a mother to a little girl, you get excited about dresses from time to time. As soon as my husband and I found out that we were blessed with a little girl, we went out a brought some of the most adorable dresses for her. The first year of her life she lived in cute dresses with tights, leggings or frilly socks. 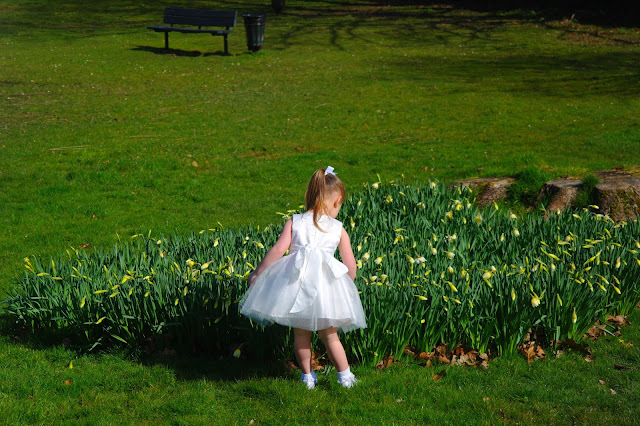 But then she became a toddler and we stopped putting her in those frilly dresses with intricate detailing because let's face it toddlers like to get dirty and messy. However, my daughter seems to have found a new love for dresses over the last year or so and practically lives in them now. Being the girly girl she is, any opportunity to get of her pyjamas or school uniform she will always choose a dress and jeans combo, I don't get the jeans part but I guess that's all about her showing her personality, right? So when you get the opportunity to get a pretty dress in the post you have to say yes. And seeing as we have a baptism coming up it made complete sense to get all dressed up in this beautiful Paisley of London Scarlett Dress from Roco Clothing. 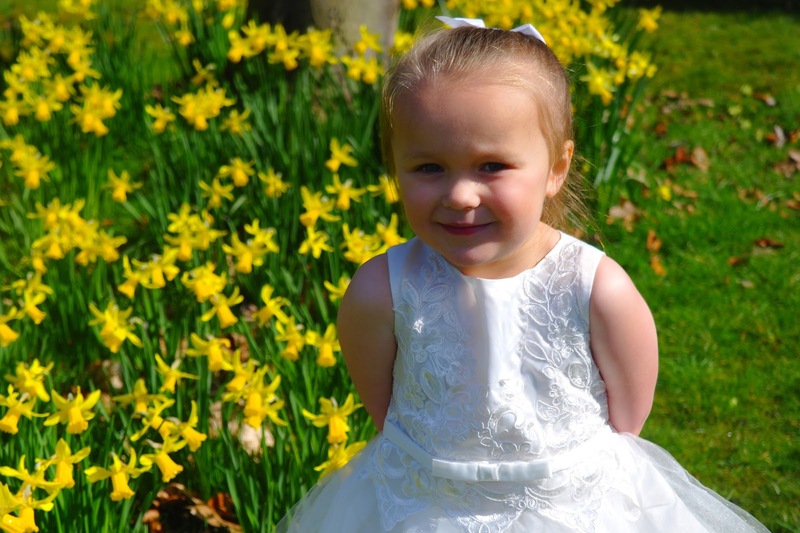 This is not the first time that we have come across Roco Clothing, this was the company that my husband and I used for our flower girls for our wedding back in 2013, but since then I have seen Roco Clothing introduce more and more beautiful pieces to their ever growing collection. Roco Clothing is always a something I recommend to family or friends who are seeking gorgeous garments for weddings, christening or parties. 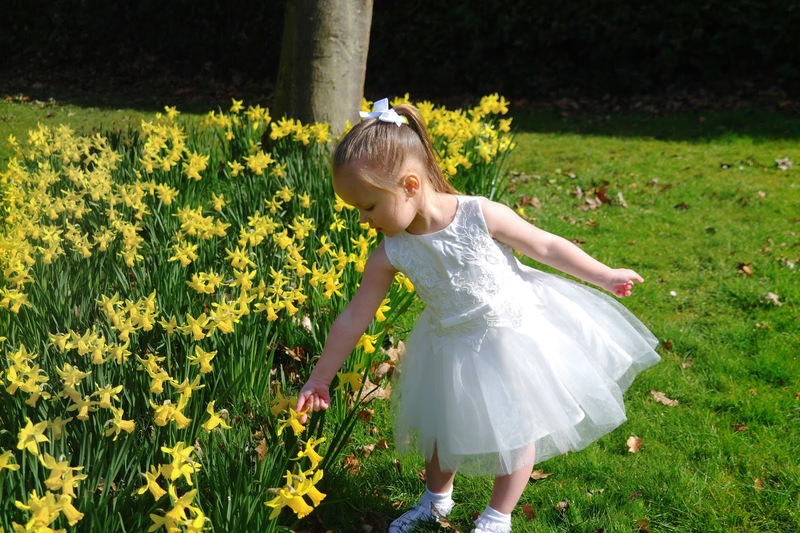 However for those who are not familiar with Roco Clothing they are experts when it comes to children's formal wear retailer with over 20 years of experience. 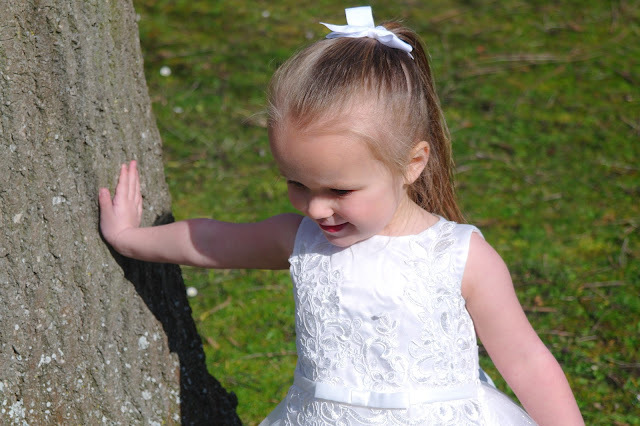 Roco Clothing have an amazing selection of clothes for children for all occasions; weddings, parties, Christenings and Communions. They also stock shoes and hair accessories. Not only that, Roco Clothing also offer free delivery in the UK. I must admit, it was pretty hard to make a decision on a dress for my little lady as you will find some of the most amazing designs, honestly there is so much choice when it comes to choosing something for your little one. The girls dressed have been designed and created into some of the most beautiful collections I have ever seen, at the moment you can choose from the three signature collections Serenity, Timeless and Magnificence all by Paisley of London. The Serenity collection is inspired by summer days, so you will most certainly fall head over heels with Paisley of London's signature pieces. Not only will you get a feel for summer with the beautiful details of flowers, butterflies and petals, but the intricate embellishments are all hand sewn by skilled needle workers who specialise in the exquisite detailing, for a beautiful feature. The Serenity collection are perfect for those girls who believe in fairy tales and love to dream the impossible. This collection is essential for a season of celebrations that will keep your young lady the belle of the ball. Explore the extensive Timeless collection of breathtaking dresses. Even though these are timeless classics some of the pieces in the range have a modern twist to them. There are so many different styles with tulle, layers, lace, chiffon and frills not forgetting the amazing intricate detailing on them too. 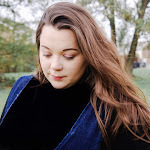 You can also choose styles according to the occasion from short length, to full length and even tea length to help make the decision in choosing a dress for any occasion so much easier. Timeless classics will always be a winner. An unforgettable occasion calls for a dress that is just as memorable, and every elegant detail of this collection is up to the task. 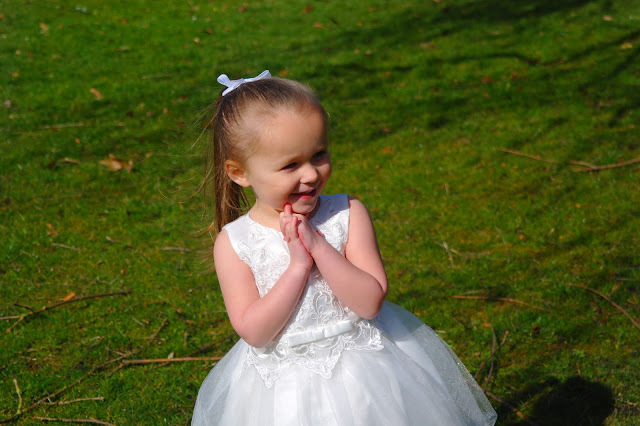 The Magnificence collection has been designed for those magical moments and creating the dress every girl dreams of, whether you're little one is a bridesmaid, birthday girl or party princess. The intricate dealing of lace, chiffon, and layers, bodice to some signature pieces with cap sleeves, lace back and pleated skirt created for the most beautiful detailing. An absolutely joyous collection that is suitable for all formal events for every season. It was quite overwhelming going through the many designs in the beautiful collections that were available at Roco Clothing, you really are spoiled for choice. 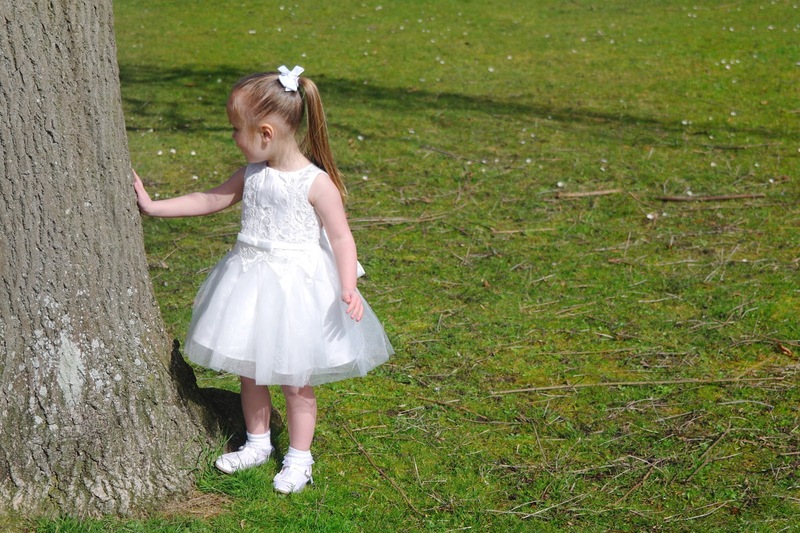 Both my daughter and myself settled on a beautiful ivory dress from the Magnificence by Paisley of London; Scarlett. This splendid ivory dress is a pretty addition to Paisley of London’s Magnificence collection. Crafted from satin, the iconic silhouette is undated with lace adornment on the bodice, with a scallop edge falling below the cute square bow waistband. Your little princess will feel like a queen with a tulle skirt that shimmers in the limelight. 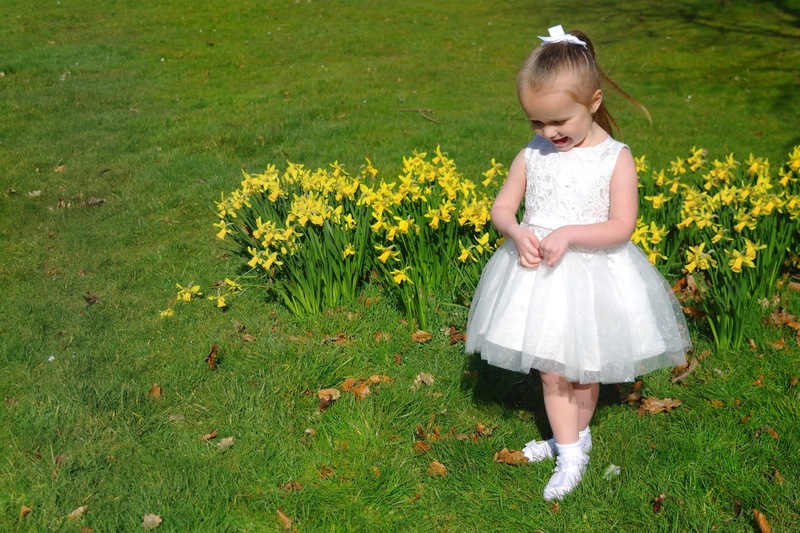 Perfect for any event, Scarlett is the essential staple piece for your little one. Now we all know that matching accessories are an essential when it comes to a beautiful dress. But they can either make or break an outfit. 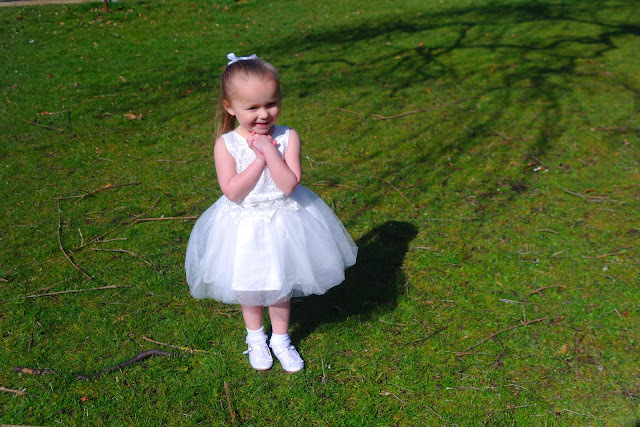 Scarlett was a beautiful ivory dress with satin, lace, scallop edging completed with a beautiful square bow waistband. So we needed some footwear that is perfect addition to the ensemble. We decided to go for these beautiful Tulip ivory shoes. Perfect for any formal occasion, Paisley of London’s Tulip shoe will make your little petal the belle of the ball. The trendy T-bar combines style with comfort, so your little one can play all day. Made from hand-selected quality white satin with a coordinating bow at the front of the shoe, the simple design is guaranteed to compliment any outfit. The Scarlett Dress is super cute and crafted from satin, the iconic silhouette is undated with lace adornment on the bodice, with a scallop edge falling below the cute square bow waistband. My little lady looks like a beautiful princess in this Scarlett dress, especially with the exquisite tulle skirt that shimmers in the limelight, and that she did. 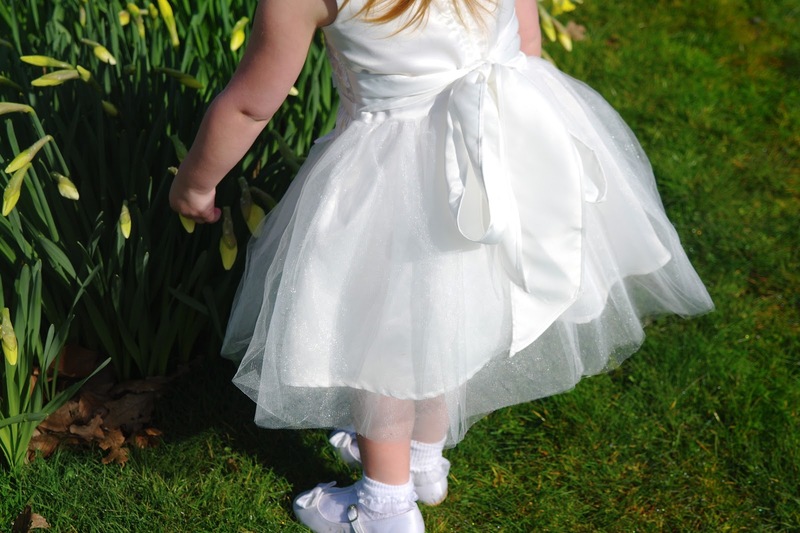 The zip fastening was the perfect closure for her and the satin tie up bow completed the dress, and the Scarlett is available in sizes 2-9 years old. My little lady loved twirling in the church and their gardens not forgetting to show everyone her pretty princess dress. Her ensemble was complete with a simple bow design detailed T-bar ivory shoe and her little trademark ponytail and bow. 25 comments on "Roco Clothing Paisley of London Scarlett Dress"
Oh that dress is beautiful! I am a very anti girly girl seeing as I am not one myself but once my eldest girl developed a style I let her decide the clothes she wanted to try and this is something she wouldn’t say no to hah! 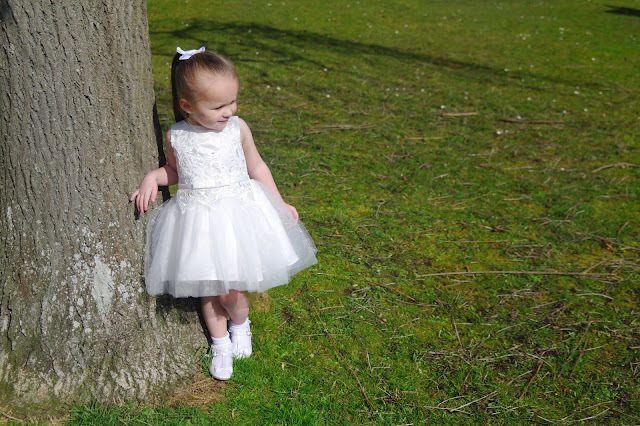 Oh my word how gorgeous does your little one look 😍😍 perfect attire for summer or a lovely wedding! She looks so so gorgeous!!! I always wanted a little girl to dress up in pretty dresses and sometimes wonder if it's acceptable to put Ru in them?! Aaaahhh, that dress is beautiful, and she looks so pretty in it! So beautiful! I remember having a dress like this when I was little, I think I wore it to a wedding! She looks stunning! This is the honestly the one thing that I looked forward to if we had a little girl. She looks absolutely beautiful in that gorgeous dress. No wonder she wanted to show it off! I've never had my own girls to buy for, but have occasionally indulged my need to buy girly dresses by treating my nieces! A great post! What a beautiful dress and I just love the t-bar shoes! 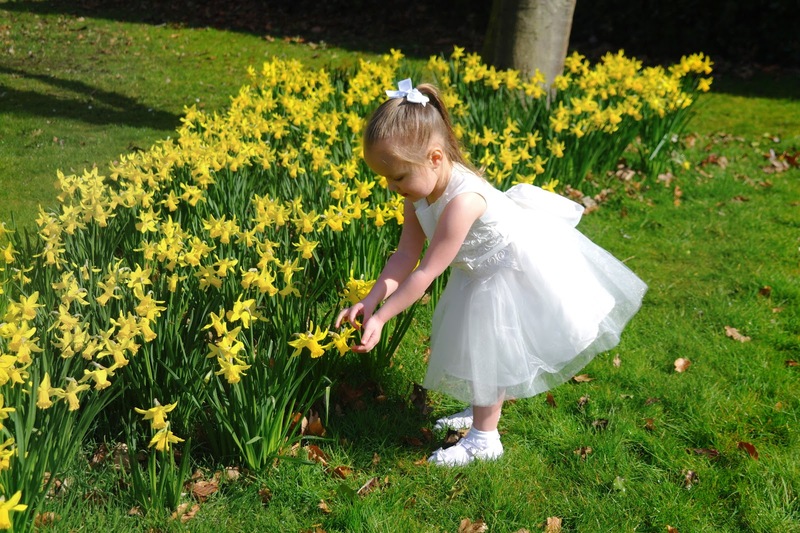 If I put my daughter in this outfit in the garden, it wouldn’t be white for very long though! So cute, it's absolutely beautiful. Thanks so much for linking up at #KCACOLS. Hope you come back again next time. I loved the baby dress ! !, where is this collection available?